I found some wonderful round table mats with a single large vegetable on each one. They looked spectacular on our glass table, and inspired this painting. The white birch bark is sharp and jagged, but is filled with smooth round vegetables, with contrasting colours and textures. 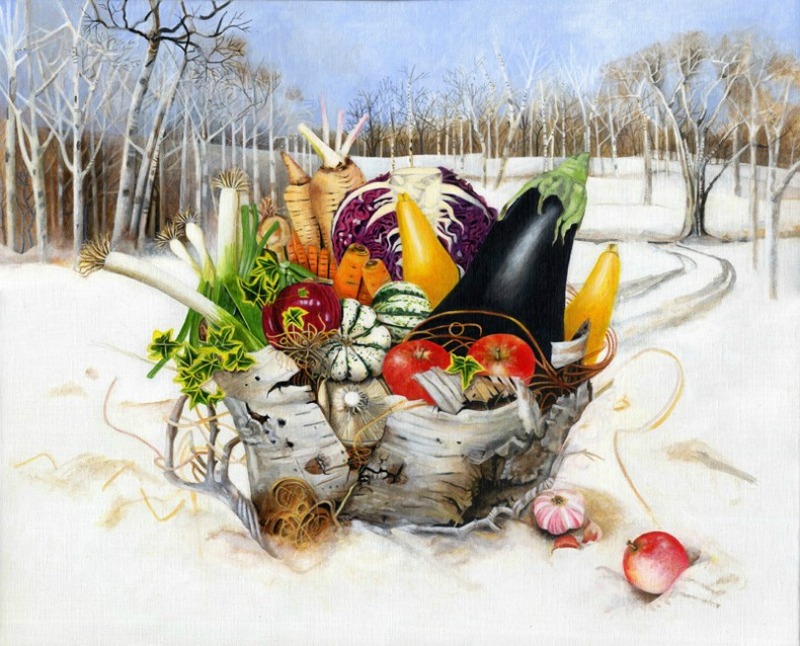 To emphasise the season, I have set the basket in a snow coloured landscape.